Garlic, originally uploaded by trekr. 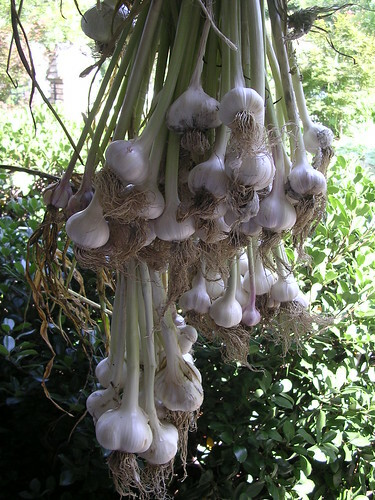 This year’s garlic crop is in and has been hung to dry. We have some legacy garlic this year from a wonderful family of gardeners that have grown the variety for over thirty years. I’m really looking forward to using it in everything! This entry was posted on Wednesday, June 20th, 2007 at 7:26 pm	and is filed under Garden. You can follow any responses to this entry through the RSS 2.0 feed. You can leave a response, or trackback from your own site.